Date : AD 241 to 242. Size : 18.8 x 19.8 mm. Weight : 3.04 grams. 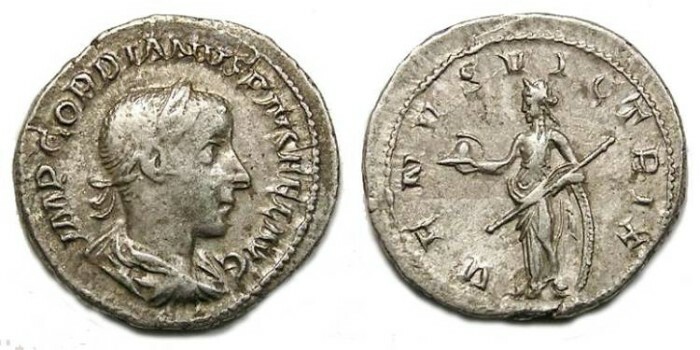 Reverse : Venus standing left, leaning back on a shield, and holding a sceptre and a helmet, with VENVS VICTRIX around.